The Rogatchi Foundation's recent art donation to Haifa's Rambam Medical Center - a model of caring in memory of their daughter. The Rogatchi Foundation, an international cultural charitable organization co-founded by artists and philanthropists Inna and Michael Rogatchi, has just completed a special art donation to the Rambam Medical Care Center in Haifa, Israel. 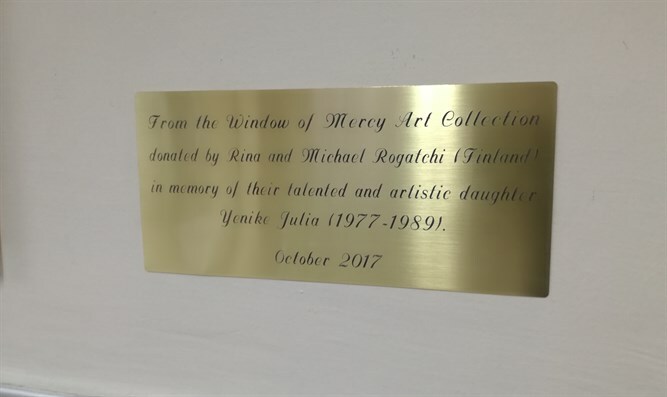 The donation is in loving memory of the couple's daughter, Yenike Julia Rogatchi, a talented, budding young artist who loved Israel devotedly, and who died of cancer in her early teen years. The Rogatchi's have long supported the application of art to the process of psychological healing and accommodation and decided, at the suggestion of the couple's good friend, Dov Segev-Steinberg, Israel's Ambassador to Finland and Estonia, to make the donation that can now be viewed on the walls of the hospital. Yigal Amedi, the Chairman of the Israel National Arts & Culture Council and member of the International Advisory Board of The Rogatchi Foundation, handed over the art donation to the leadership of the Rambam Health Care Campus last month. The Rogatchi Foundation has made a name for itself in many ways, including the donation of art works that create a tranquil and aesthetic visual atmosphere in places that care for people with different needs. In late 2017, partnering with the ICEJ, The Rogatchi Foundation took part in a Heart to Share campaign in support of the home for elderly in Haifa where all the residents are Holocaust survivors. In Autumn 2017, The Rogatchi Foundation made two more notable art donations, to the Helsinki Community and the Sarah House for Elderly people in Finland, and to the Holocaust Survivors Association of Canada. The Foundation has supported the State of Israel since its establishment, including organizing special International Art Solidarity Campaigns, contributing paintings to the Jerusalem Municipality and Ministry of Foreign Affairs, films and materials to Yad Vashem, and supporting Jewish orphans. Inna Rogatchi is notable fine art photographer and artist, and also internationally known writer, film-maker, scholar, historian and public figure. She is the author of The Lessons of Survival, the internationally acclaimed film on Simon Wiesenthal, and many essays, some of which were written for Arutz Sheva. Photo essays by the couple have also been featured on Arutz Sheva. Rogatchi is the third person and the first woman awarded The Patmos Solidarity Award for ‘the hard labour of memory, and her life-long mission for the sake of the Jewish people and the State of Israel”, and the Special Award for the Outstanding Contribution into the Arts and Culture by the New York Jewish Children’s Museum (together with her husband, internationally-known artist Michael Rogatchi). 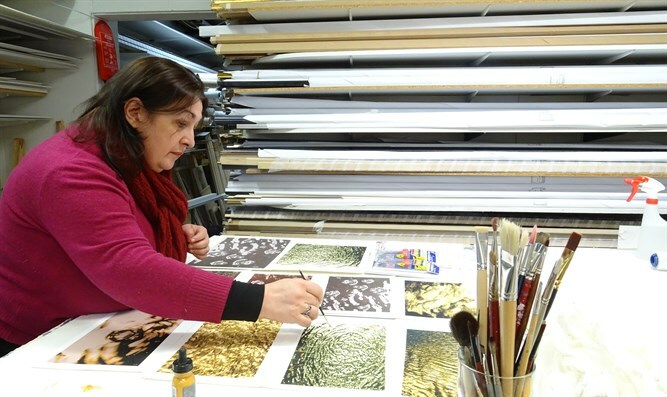 As a fine-art photographer and artist, she exhibits her works widely all over the globe. Inna is the winner of the IX Italian National Il Volo di Pegaso Arts and Literature Award, and is the author of three patent-pending original art techniques with which she works as an artist. She is regularly invited as a special guest artist to many top international culture events, including the Venice Film Festival, international Music Collection festival in St Petersburg, Contemporary Art Festival in Rome ( Italy), and many others. 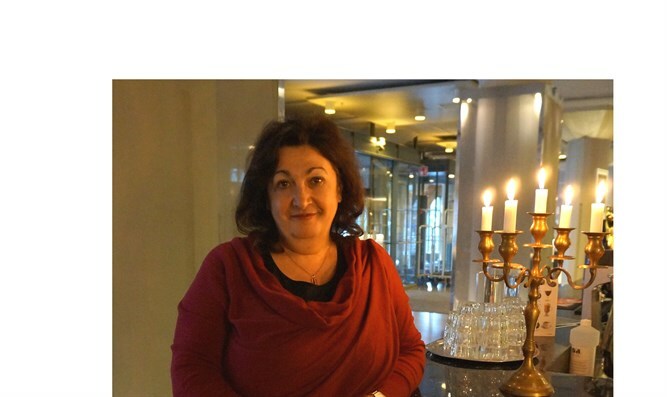 Her special cultural and educational projects have been exhibited at the European Parliament and the Parliaments of Finland and Lithuania. Her new exhibition and the cultural and educational Shining Souls. Champions of Humanity project is due to be opened at the Parliament of Finland in January 2018 where it will open the Finnish national commemoration of the International Holocaust Remembrance Day. 1. Bench in Love II. Finland. 2014. Unique. 2. Duetto III. Finland. 2014. Unique. 3. A Leaf Symphony II Washington DC, USA. 2014. Unique. 4. A Life of A Cloud II . Italy. 2011. Print 3/15. 5. Sky in the water. Italy. 2011. Print 3/15. 6. The Garden of Life. France. 2011. Print 3/15. 7. Lilac Garden I. Finland. 2017. Unique. Produced specifically for the donation to Rambam. 8. Piazzolla Tunes II. Finland. 2017. Unique. Produced specifically for the donation to Rambam. 9. Snowy Love. U & I series. 2017. Print 3/30. Produced specifically for the donation to Rambam. 10. Sunny Pictures IV. Finland. 2017.Print 3/30. Produced specifically for the donation to Rambam.